Absolute central location, friendly hosts, nice and roomy. The location, the apartment itself with the facilities inside, and the building were pretty nice. The guy (Peter) who brought our keys were awesome friendly and helpful. They evenwere thoughtful to put some slippers which you may not expect any apartment stay. The property was in a perfect location 3 minutes walk to metro stop. The kitchen was well-equipped. The host was so nice and helpful. And washing machine was definitely a bonus. Great proximity to the center of town but on a nice quiet street. Having the washing machine available was a big bonus. The location: imho, the best that can be in Vienna. Inside the apartment: everything was great - bedroom, living room, bathroom, kitchen. Everything what you can need during your stay including tea, coffee, filters for coffee machine, tablets for dishwasher, wash powder, spare lamp bulbs, etc. was provided. Really all. There was even set of good knives (from unknown reason in most apartments I stayed before knives were really bad). So, really 10 points in all categories. 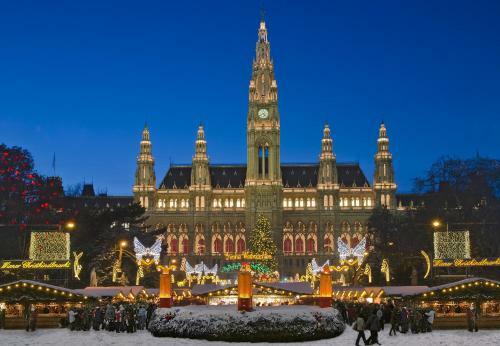 The location is spectacular, just behind the Rathaus. The flat is very comfortable and spacious (we were 2 adults and a child of 8), the kitchen is well equipped (coffee, sugar and a selection of teas is offered), the bathroom is big and has both a bath tube and a shower, plus two sinks (and a washing machine that we did not use). The bedroom is big as well, with a double bed and a single bed. The owner was very helpful, and took the time to explain us on a map what to see and giving suggestions on where to eat. Very helpful hosts. we used their private transfer for airport. Location is excellent between Rathaus and Museums, very close to trams and u-bahn. Apartment has all facilities.Free flm festival on at Rathaus gardens during our stay, lots of street food bars as well, have an aperol spritz whilst people watching! Nice, clean apartment within a walking distance to most sights and attractions. Everything was ready and we could check in even though we arrived early. Stephan was very nice and everything went smoothly. If I return to Vienna, I will stay this apartment again. Welcoming staff, very clean apartment and in a great position! Lock in a great price for Apartment BB – rated 9.3 by recent guests! One of our best sellers in Vienna! Apartment BB in Vienna provides accommodations with free WiFi, a 5-minute walk from Parliament of Austria and 1,500 feet from Vienna City Hall. The property is an 8-minute walk from the Museumsquartier. The apartment includes 1 bedroom, a kitchenette with a dishwasher and an oven, as well as a coffee machine. A flat-screen TV is available. Leopold Museum is 0.4 miles from the apartment. Schwechat Airport is 13 miles from the property. When would you like to stay at Apartment BB? House Rules Apartment BB takes special requests – add in the next step! Please inform Apartment BB of your expected arrival time in advance. You can use the Special Requests box when booking, or contact the property directly using the contact details in your confirmation. There is no place for luggage deposit after check out. Location is good and near the Christmas market. Some furniture are a little old and the shower box does not close properly so there is water on the floor when taking a shower. On making the reservation the price was not fully exclaimed at the beggining and there was an extra charge for cleaning for which we weren't aware of at first. The cleaning price should be included at the full price before making the reservation not at the bailout. We couldn't make any changes or cancel when the reservation was made. Furnishings a bit tired in places, headboard etc. Not a problem for us but not quite ground floor as billed as steps inside building and flat, should be flagged up for less able people. "Garden view" inner courtyard really, but so much to see in vienna you won't be looking out the window much. Love the location. Very spacious. Very clean and comfortable apartment. Perfect location to go everywhere in Vienna. Great location in the old Town. Close to many sites and public transport. Apartment was clean and comfortable.